The Tennessee Real Estate Broker Exam is split into two parts. The first part is the real estate broker national exam and the second part is the real estate broker state specific exam. 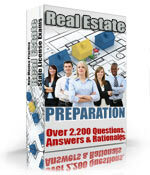 The national portion of the Tennessee Real Estate broker exam is comprised of 80 questions. In order to pass the exam an examinee must answer 60 out of the 80 questions correctly (75% correct). The time limit allowed to complete the Real Estate Broker National Portion is 150 minutes. The state specific part of the Tennessee Real Estate Broker Exam is comprised of 50 questions and an examinee must answer 38 questions correctly to pass (75% correct). The time limit allowed for the state specific part of the Tennessee Real Estate Broker Exam is 90 minutes. Real Estate Broker Exams in Tennessee are administered by PSI exams at www.psiexams.com. Before registering with PSI for the Tennessee Real Estate Broker Exam you must first submit an application along with education and experience requirements to TREC. The exam approval process takes about 4 weeks. You may register with PSI to take the exam after receiving the approval notice. In Tennessee if you pass one part of the Real Estate Broker Exam you are permitted to take and pass the subsequent part at a later date. The section of the exam you passed is valid for the next two retakes of the failed portion, or six months, which ever comes first. The Tennessee Real Estate Broker exams are taken by computer. You will receive your results immediately after finishing the exam. The exam is closed book. Make sure to bring two forms of ID to the examination site to be admitted. The registration fee to take the Tennessee Real Estate Broker exam is $55.00 whether you take one or both parts of the exam. The re-take fee is also $55.00 whether you take one or both parts of the exam.